Congratulations on your desire to purchase a home. It is also an important decision for you and your family, and I thank you for considering me as your Realtor. I Specialize in residential homes and land, as well as commercial real estate from Los Angeles to Malibu, California Estates. Servicing neighborhoods such as Beverly Park, Trousdale Estates, Holmby Hills, Bel Air, Malibu, Century City, West Hollywood and all surrounding Los Angeles County areas. With expertise for both listing and purchasing properties, and teamed with Berkshire Hathaway HomeServices, you will be in the company of the top of the line services and personnel. 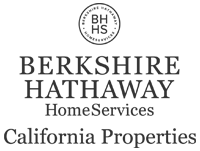 If you are looking for a home, apartment, condo, land, or other real estate opportunities here in Beverly Hills or adjacent communities in Los Angeles County, I will find your ideal home based on your criteria. As your Realtor, I will provide you all of the necessary tools for buying the right property. Once we've narrowed down what you are looking for, whether you need a condo, land, fixer-upper, or a luxurious house, we can begin the home showing process so you can get a closer look at what should be the best fit for you. Sarah Arfa is a designated Beverly Hills Realtor which means she maintain the highest possible standards as a real estate agent. 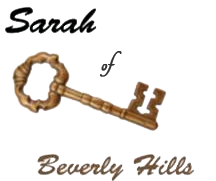 The Realtor designation means that Sarah is member of the Beverly Hills National Association of Realtors and acts according to a specific code which guarantees the optimum level of service for your real estate needs when buying or selling a home, commercial property, land, or condo. What is your motivation to own a home?